Complete lower gearbox including Motor. 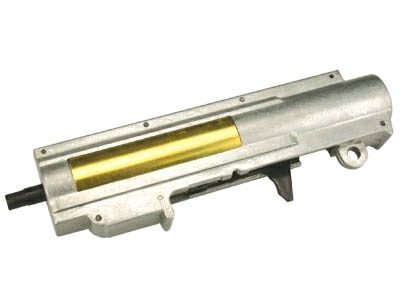 Metal lower receiver and stock tube. 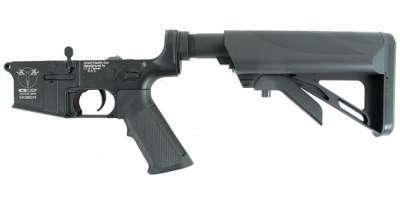 Plastic Stock and pistol grip. Rear wired, fitted with mini Tamya connector. For standard AEG (non EBB), he would need MA-60 (M100) or MA-340 (M120) CS4 Standard Upper Gearbox Assembly.